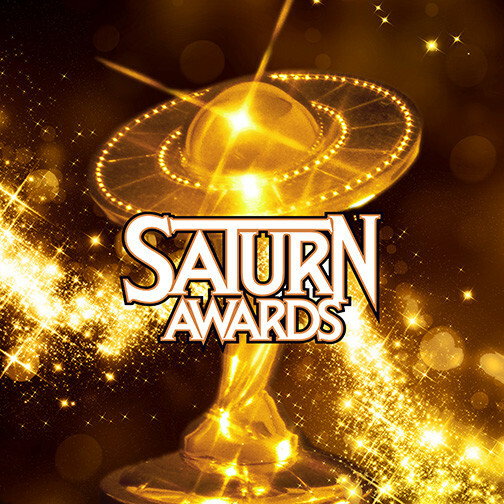 The Academy of Science Fiction, Fantasy and Horror Films announced the 2016 Saturn Award winners on June 22 in Burbank. John Barrowman, the awards host, is shown here in a photo with Alex Kingston, on hand to pick up the award for Doctor Who’s “The Husbands of River Song,” and Buffy veteran Clare Kramer. This entry was posted in Awards and tagged Alex Kingston, John Barrowman, Nichelle Nichols, Saturn Awards by Mike Glyer. Bookmark the permalink. I love me some Bruce Campbell, and his Ash is an amazing portrayal of someone simultaneously pathetic and heroic and venal and courageous; but given that they evidently have decided that Hannibal occupies the same Award Space as Ash vs Evil Dead, it is beyond incomprehensible that he could beat out the leads of that series for Best Actor.